Participate in a truly ‘Out Of Africa’ experience. You will be working in the small communities surrounding Lake Victoria while staying in Kenya's 3rd largest city, Kisumu. Returning to a comfortable hotel each night will refresh you for the large number of patients you can expect to see each day. The shining faces of children will fill you with delight upon your arrival as you bring much needed aid to those without access to medical services. You will see every facet of life that Kenya has to offer from the orphanages and informal settlements to the villages and game parks. During this trip you will enjoy a one-day safari - keep your eyes open for the Big 5 - and your camera ready!! IMR has worked in the Kisumu area for more than a decade and we are ready to return and continue to provide premier care for our patients. International Medical Relief continues to make a difference in Kenya thanks to our amazing IMR volunteers! You'll see many patients with wounds - unintended injuries are in the top 10 causes of death in Kenya -, infections, and of course, hypertension, HIV/AIDS, and asthma. . IMR has worked in Kenya for more than decade and we never lack for patients. The opportunity to care for the many children will make your heart happy as whole families come to get care from you. You will have the opportunity to care for some of the youngest and some of the oldest these villages have, Dentists, your services are critically needed! You will find the comforts of our beautiful hotel and grounds to be a warm welcome after a long day of clinics. The facility boasts a beautiful dining area where the team will enjoy breakfast and some dinners. You will stay in beautiful double occupancy rooms with twin beds and en suite bathrooms. If you are flying independently you will meet the team in Kisumu, the third largest city in Kenya. Transportation will be by bus or van to wonderful villages near Lake Victoria each day. Each day will be a new opportunity to see the beauty that surrounds Lake Victoria. Keep your eyes open to see the children riding bikes 3 sizes too big, the old women carrying impossibly large loads of straw on their heads, and the small motorcycles, with their riders holding 12' long pieces of wood as they ride in and out of traffic. You may get lucky and see a zebra or two in this crazy mix! SAFARI INCLUDED! On your safari, you will witness the harmony of numerous species of wildlife rarely found in any large quantity anywhere but Kenya. See the abundant wildlife first hand that has made Kenya the leader for adventure wildlife seekers and renowned photographers. In this place like no other, you will have the opportunity to see up close the world’s most amazing animals. After your safari, use your free time to see the baby giraffes or to explore the modern city of Nairobi! Don't miss the chance to explore some of Africa’s most wild places. 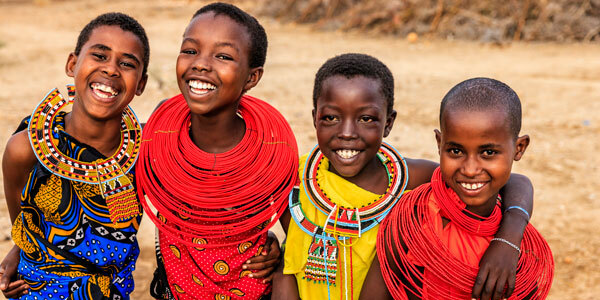 Join IMR on this three night, four day program extension to adventure to stunning Kenya for an experience of a lifetime! Ready yourself for a wild African safari in some of the world’s most renowned parks. Spend a day at Lake Nakura National Park, where you’ll have the opportunity to spot lions, leopards, buffalo and zebra. Lake Nakura is also home to both white and black rhinoceros. Venture to Maasai Mara, host of the famous Wildebeest Migration each year as 1.7 million wildebeest, more then 500,000 zebra and antelopes cross the swollen Mara River in hopes of finding safety on the Maasai Mara’s sweeping plains. Bare witness to a once-in-a-lifetime Maasai Mara sunrise and early morning game drive while you try to spot Africa’s ‘Big Five’ taking advantage of the cool morning temperatures on the hunt for their breakfast. Also enjoy sunset safaris as you drive in search of big cats, elephants, giraffes, and more. For further information, please contact travel@worldwidenavigators.com. YES - We need your help to take IMR supply bags internationally to Kenya! Take 2 supply bags for IMR both ways to Kenya.